I always laughed in the early mornings when I would see my mother wrapped in her housecoat, sipping coffee, and staring out the window. Extra noise was nearly forbidden and food smells outside a robust Columbian blend were not permitted. Something happened as I neared 30… Now I, too, love to wake up before my family and the multiple demands of the day to drink my coffee (black, of course) and steal a slow moment. Looking out my window now, August came and went and I counted only a few foggy mornings. Though the birds sing, dawn is fairly still as the birds have yet to start gathering in flocks. 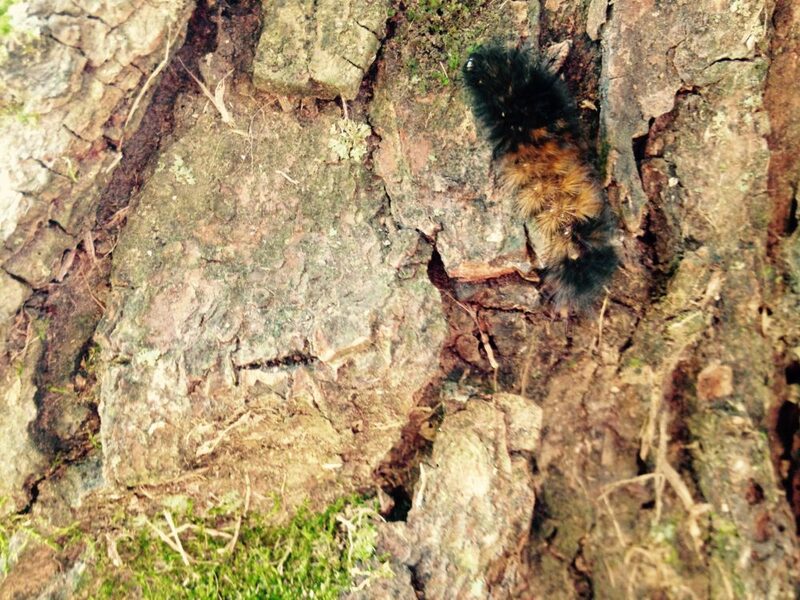 Wooly worms around our home show promising amounts of red in comparison to their black. And it’s too early to check the pudginess of rabbits, though they should be plenty fat off of our abundant weeds. All of these are folklore indicators of winter’s harshness and comings—and I cannot think of one summer predictor outside of a few concerning rain or snakes (“snake” issue? help here). Growing up in Appalachia, a merciless winter could mean that activity can literally be frozen still. We always stocked up on essentials whenever the local news hinted at harshness (for us, those essentials were toilet paper and bread—by golly, we were never going to go without TP or gluten…which are arguably decent priorities). But in all seriousness: from the frontier pioneers of old to the innovation engineers of today, we all cling to and attach significance to the meaningless in hopes to relieve anxieties, fears, and worries of the future. I realize there is likely a correlation between these folklore findings and their predicted outcomes. But now, in my comparably luxurious life outside of isolated, impoverished Appalachia, I’m less consumed and concerned about the coming winter and more anxious and fearful about what could put a chill in own life: how my kids may “turn out,” career happenings, outcomes of elections, the potential morphing and outbreaks of super-viruses, and…. well, I could really go on forever. The reality of these fears is that they aren’t rooted in the present. Yes—my parental actions will hopefully guide my children toward a life knowing and serving Christ, but ultimately they will be their own adult. Yes—I may vote, be an indispensable employee, and religiously practice hand-hygiene, but much of life is out of my control. Thankfully, I know whose control it is in… the Creator’s. So what do we do? I’m committing to giving God what I call my “winter worries”—all of those fears and anxieties that may or may never come. I’m choosing to live as the birds and the flowers, beautifully adorned and singing praises to the Almighty (Matthew 6:26, Luke 12:27-28). I’m choosing to be active and engaged in the present, for it is such a blessing. And tomorrow morning, I plan on quietly sipping coffee and thanking God for each moment He gives me. For soon, the birds will all gather and fly South until next Spring. But oh, what a beautiful song they’ll sing now. I don’t want to miss it!